You know what I don’t love in a Word document? When it’s just a huge wall of black text. It’s not pretty to look at, and it can be difficult to know what’s important and what’s not. I’ve recently started utilizing shaded info boxes to overcome these challenges. The info boxes accomplish a few things for me. In addition to giving the document a much-needed splash of color and adding some visual appeal, it gives me a way to highlight information that I think is most important for my readers. I was surprised by the number of steps it took me to create a nice looking info box. It’s not hard; it’s just a lot of steps. And that’s why I’m writing this post–to break it down and (hopefully) make it simple for you. Shouldn’t be too bad, right? So let’s get started. 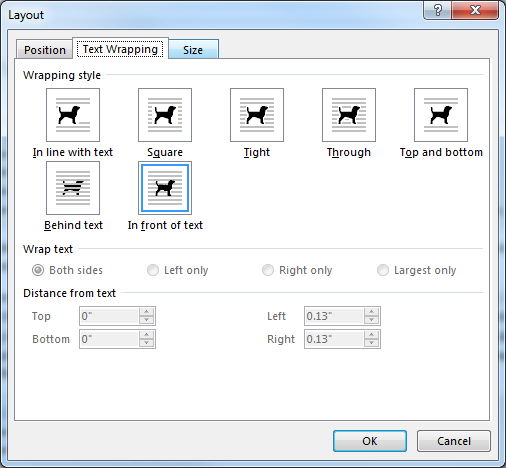 Add a 1×1 table from the INSERT tab in the ribbon. This should create a box that spans the width of the page–just what we want–but the cell margins need to be adjusted. 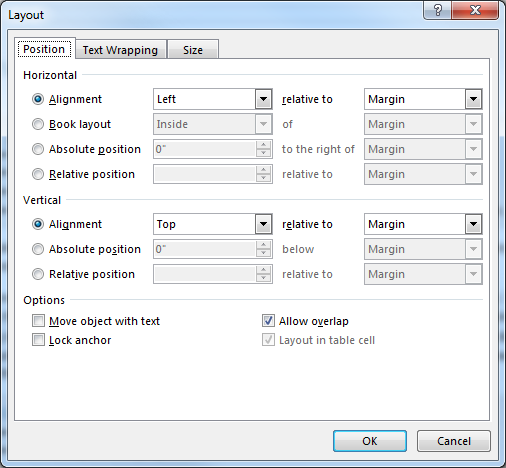 With your cursor in the table, click the Cell Margins button on the TABLE TOOLS – LAYOUT tab in the ribbon. 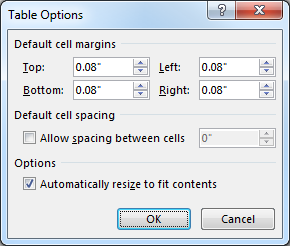 Change the default cell margins to be 0.08″ on all sides. 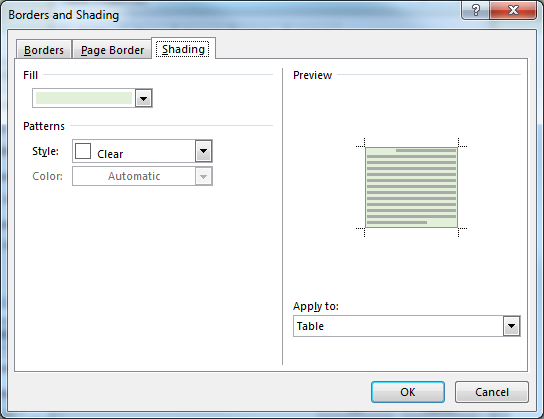 Right-click the table, select Table Properties, then click the Borders and Shading… button. 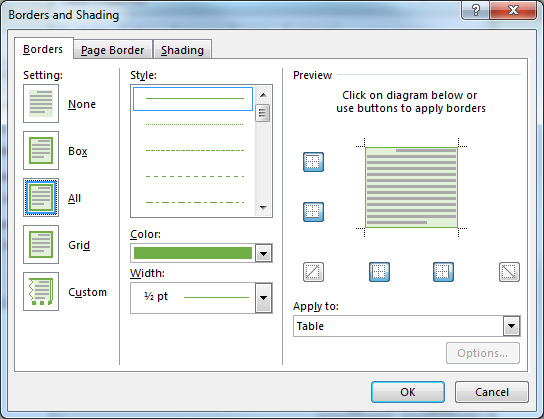 Change the background color of the table by selecting a fill color on the Shading tab. Choose a coordinating border color on the Border tab. I try to use a light color for the fill and a darker color from the same family as the border, but you can obviously do whatever you want. Insert an image into your table to use as the info box icon. For a quick & dirty image, search clipart for “button” or “icon.” You could also copy/paste from the internet or pick an image from your computer. 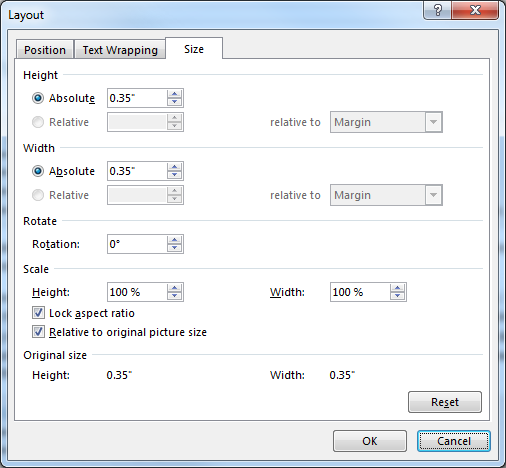 For best results, make sure the image has a transparent background or the same background color as the table shading. select In front of text. 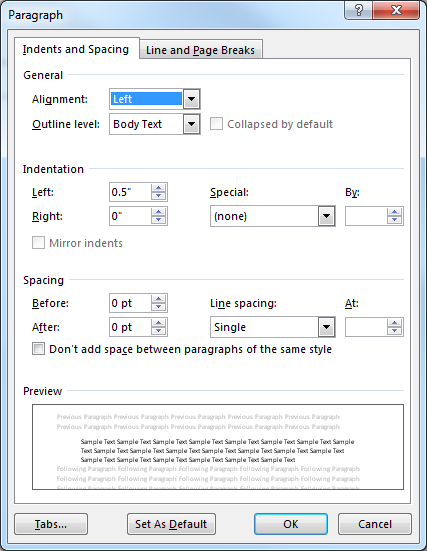 And, finally, on the Position tab, change the horizontal and vertical positions to Alignment, Left and Top (respectively), and relative to Margin. In order to have the text display to the right of the icon, you need to modify the paragraph properties to have a left indent. I use 0.5″. Now you’re ready to add text. Do this by typing words. (Duh!) I typically give my info box a title that has a different color and slightly bigger font, but this is, of course, optional. This last step is an annoying one. For some reason, there is no spacing following a table. If you add another paragraph, it’s a little too much extra space. I fix this by modifying the paragraph following my info box so that it has space before equal to its space after. But that’s all there is to it. It’s admittedly a lot of steps, but I don’t think any of them are too crazy. Once you have one box formatted the way you like, you can copy/paste it to other places in your document, too. So you only have to pay that setup and configuration cost once.